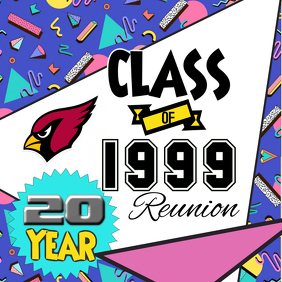 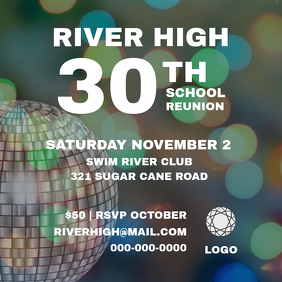 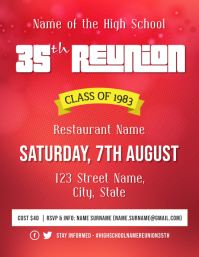 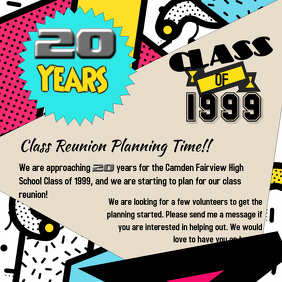 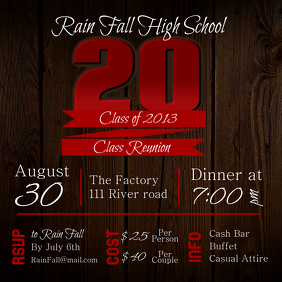 Create a Flyer to Spread Word About Your Reunion Party! 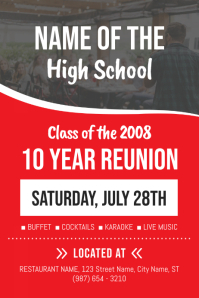 Throwing a big party for your High school buddies? 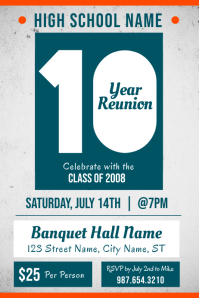 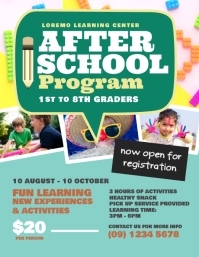 Easily create a snazzy invitation flyer, and get the word out quickly. 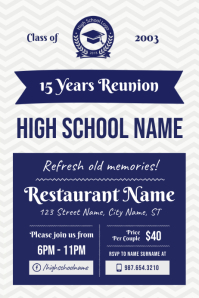 Just pick a template, customize it with your details, save and download. 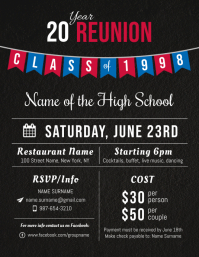 With a click of a button, you can turn the flyer into a social media post or even a video.